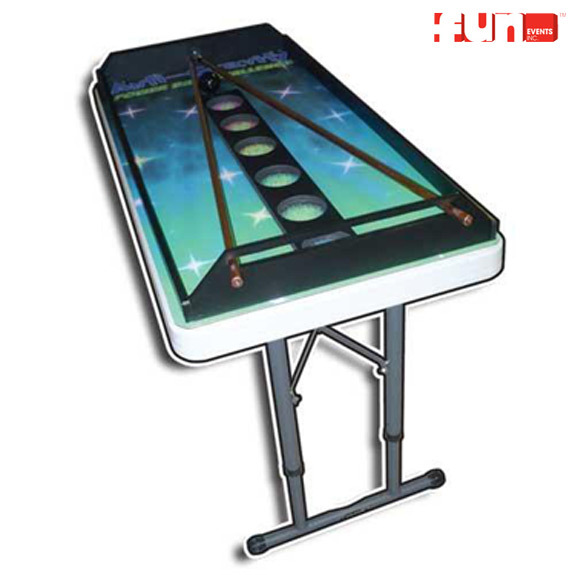 Anti Gravity carnival game rental Challenge yourself by sliding the rails apart & together causing the ball to roll down the rails & drop into the holes worth the most points. This is a great game to add to your school, church, organization, or backyard carnival party as the kids are sure to love it!! !